These indicators can be used for a wide variety of applications where accuracy and dependability are essential. Input linearization is possible for non-linear process variables. 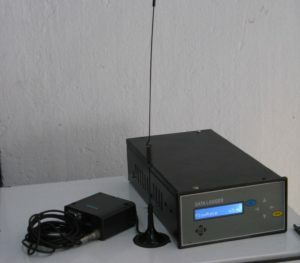 These instruments also have multiple channel capability. These instruments can be factory set for measuring 4-20mA currents or 0-5VDC or 0-10VDC. The 4-20mA models have a 2.4 volts maximum. In addition, all these instruments are field programmable and have nonvolatile backup memory that does not need cumbersome batteries. These instruments also have the capability to switch on relay(s) based on user settings. These outputs can be used for process set points and alarms, and for controlling pumps. This CPL 100 has GSM communication interface that can send data’s through SMS or GPRS or Data call. Telephone numbers are programmable such that data’s are sent through SMS to the programmed numbers at specific time interval.